Whether you preferred wine, beer or spirits (or all three), seafood or hamburgers, exotic coffee or fresh lemonade, you could find it all at Loch-Sloy in Picton during Taste Community Grown. The annual wine and culinary festival of county goodness, held on Saturday, Sept. 22, featured 15 wineries, breweries and distilleries, nearly a dozen food vendors and more than 20 local farms showcasing herbs, sauces, syrup, honey, cheese, jams, pickles, meats and much more. But it wasn’t just about food and drink. Sixteen artisan booths showed off rural photography, sewing and embroidery, jewelry, and yes, more edible goodies such as chocolate, cheesecake, cookies and even dog biscuits. Throughout the day, there was live music by Geoff Willingham, Telegraph Narrows and Little Bluff. 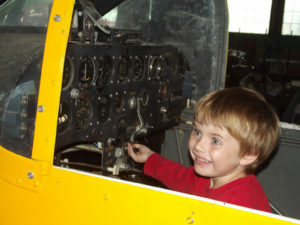 Children were able to examine historic aircraft and vehicles, take part in a scavenger hunt and decorate cookies, while the grown-ups had the chance to take part in a variety of free workshops. Yvette the water buffalo represented the Ontario Water Buffalo Company, of Stirling, by giving rides to children and adults. For many visitors, it was the first time they had seen a water buffalo up close. Visitors came from across the county and from further afield. Many were repeat visitors. The Loch-Sloy location got rave reviews from people such as Jennifer Miller of Smiths Falls, who has been coming to Taste for years. Brenda Lyons of Mississauga agreed. With people arriving by car and shuttle buses running from Belleville, Bloomfield and downtown Picton, the venue was packed all afternoon. 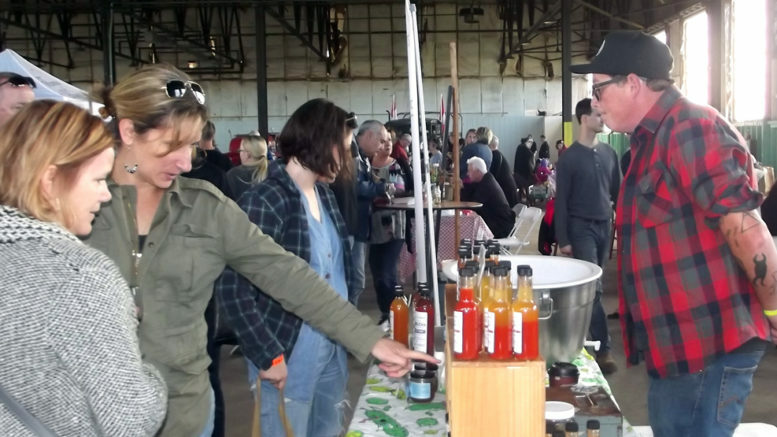 There were lineups for taste-testing at most of the booths, and business was brisk, with people making use of their free Wines of Prince Edward County tote bags to haul their purchases of everything from wine and beer to soap, pickles, teas and maple sugar.